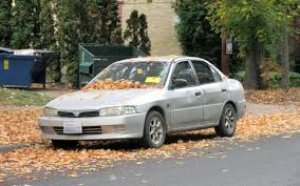 Abandoned vehicles should be reported to Basingstoke and Deane Borough Council who aim to investigate reports of abandoned vehicles within three working days. Their aim is also to remove a vehicle as soon as they can confirm that it has been abandoned. They are taxed and in working condition. They have been on private land for less than two months. They have been on public land or the highway for less than a month (unless the vehicle is damaged. Any information about who abandoned the vehicle would also be very welcome. Please note: that vehicles subject to arson are scenes of crime, and should be reported to the police.